Investment banking courses and financial modeling training can open up new opportunities for rewarding and productive career paths in the financial industry. Most entry-level investment banking jobs are analyst positions, which are responsible for collecting data about markets and possible investments and, often times, fairly menial tasks. Analysts work with this data to produce predictions of market behavior or the performance of financial assets, and then provide recommendations based on these predictions to managers and associates. Analysts with several years of experience may be promoted to associates, where they may be responsible for developing client relationships, putting transactions together, coordinating research, managing analysts and other subordinates, and other tasks. Graduates from recognized M.B.A. degree programs may also be hired directly into associate positions. Associates with several years of experience may be promoted to the managerial or director level, where they will make decisions to guide company policy, coordinate recruitment and promotions, and approve investments and other transactions. Salary increases for investment banking jobs is also dependent largely upon experience and performance. Although wide compensation ranges exist depending on the firing firm, analysts generally are paid between $60,000 and $150,000 (including bonuses) during their first year, with this range increasing to $120,000 to $300,000 by the third year. An investment banking associate will generally make between $150,000 and $250,000, including bonuses, during their first year, and may be paid between $250,000 and $450,000 by their third year of experience. A director may earn over $400,000 and many times over a million dollars per year with bonuses. Salaries above the director level in the investment banking industry are limited only by the success of the firm and the state of the market, providing an excellent incentive for motivated and hardworking finance professionals to advance their investment banking careers in this exciting and competitive field. 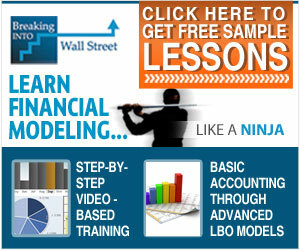 Next post: What is Investment Banking Training?